Mark Drew talks about “Let’s get GraphQL! 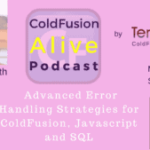 (Smart API access from CFML) ” in this episode of ColdFusion Alive podcast with host Michaela Light. 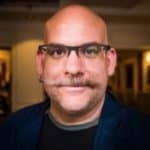 History of API use: SOAP, REST, GraphQL, oh my! GraphQL – A language specification that solves the same problem that SQL did for Relational Databases. Who are actually using it and why? How was cf.Objective for you? What are you looking forward to at CFCAMP and NCDevCon? 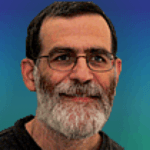 Mark Drew has been programming CFML since 1996, and even though he has had forays into Perl, ASP and PHP he is still loving every line of code he has crafted with CFML. His career has concentrated on eCommerce, Content Management and Application Scalability for various well-known brands in the UK market such as Jaeger, Hackett, Hobbs, Dyson, B&W, Diesel amongst others. He founded CMD, a London based web development consultancy. Michael: Exactly, so we're going to be looking at getting graphical with GQraphQL. We’ll look at the history of A.P.I. use, and where GraphQL fits into that. Why you should use it, who's using it, what exactly is the fundamentals of it, some of the subtle language concepts, and mutations that we can look at in there. And also, how you'd use it from ColdFusion, and how to get started on that. We'll have a quick demo in the middle of the episode, so you can see that.